LUN'TECH (Luneberg Technologies) with 35th year of operarion, Located in Perols near Montpellier in the south of France, 3km from the A9 motorway, 1km from the airport. LUN'TECH mainly design, development, manufacturing, repairing and sales of reflectors. 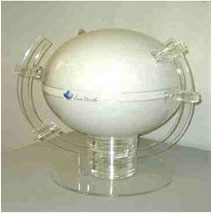 From this process of a spherical lens with a progressive variation of permittivity, have been created passive radar reflectors and antennas. 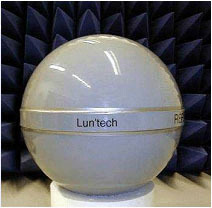 This microwave technology developed by LTT then Thomson, is now owned by LUN'TECH which continues to improve the manufacturing process as well as specific developments for new applications:such as Port and airport beaconing, Radar calibration and Multi-beam antennas for satellite communication for Civilian. The Lun'Tech product obtains ISO 9001 Ed.2000 certification. The main customers are: Thales, DGA, EADS, Galileo Avionica. 8. 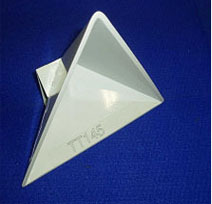 Active Radar Reflectors with Fixed R.C.S.